Returning to Long Realty’s Green Valley office after detours through two other agencies are Ed Daly and Mary Daly, a veteran REALTOR® team known as The Daly Duo. The Dalys were previously licensed with the Green Valley office from January 2012 to January 2016. Based on their 2016 earnings, they rejoin the company as members of the 2017 Chairman’s Club, a Long Realty recognition honor reserved for high-performing agents. 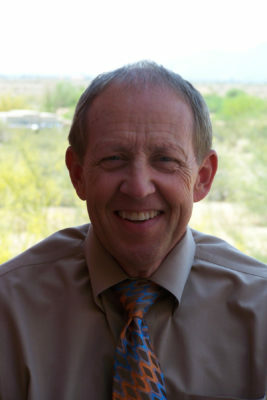 Ed Daly began his real estate sales career in 2004 and has worked with several agencies in Tucson and Green Valley. 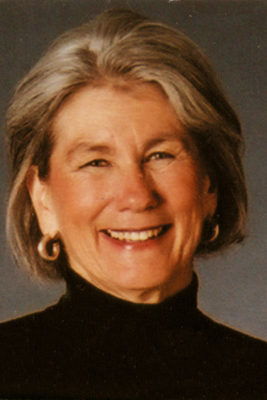 Mary Daly earned her sales license in 2008 and promptly joined Ed as a team. Working with buyers, sellers and clients who are relocating, their focus is on active-adult, golf and investment properties. Serving senior clients in Green valley and Sahuarita is a team specialty. A company-owned office since 1993, Long Realty’s Green Valley office is located at 275 W. Continental Road in Green Valley. Its service area includes Green Valley, Sahuarita, Amado, and Tubac. For more information, contact The Daly Duo team by email at TheDalyDuo@LongRealty.com or by phone: Ed Daly at (520) 971-7166; Mary Daly at (520) 971-7245. 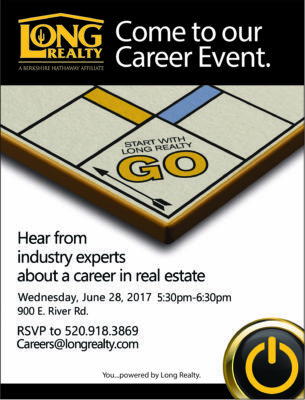 Share the post "The Daly Duo rejoins Long Realty’s Green Valley office"
If you or someone you know is considering a career in real estate sales, come to Long Realty’s Career Event and hear from industry experts to find out more. 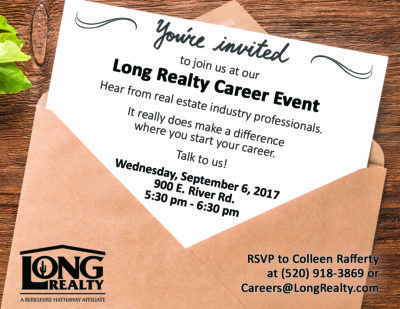 RSVP to Colleen Rafferty at 520-918-3869 or careers@longrealty.com. Share the post "Long Realty’s Career Event: November 2, 2017"
Already an area powerhouse, Long Realty’s Foothills office adds muscle to its sales force with the arrival of associate broker Pat Leahy. It’s a homecoming of sorts for Leahy, who launched her real estate career in 1999 as a salesperson at another of the company’s offices. A former residential loan officer, Leahy’s specialties include contract negotiations; sales and marketing; and dealing with title, escrow and financing issues. She is an Accredited Buyer’s Representative (ABR), a Certified Residential Specialist (CRS) and a Graduate, REALTOR® Institute member (GRI). Her focus is working with both buyers and sellers to represent new, resale, and luxury residential properties. Professional leadership is a Leahy hallmark. She is on the board of directors of the Tucson Association of REALTORS®, chairs the TAR education committee, and teaches ethics and orientation classes for new association members. A certified ethics instructor, Leahy served for about eight years on the Arizona Association of REALTORS® grievance committee as member and chair. “We’re always delighted to have someone of Pat’s caliber join the office,” said Laura Mance, manager of the Foothills office. “Her tenacity, negotiating skills, proven ability, leadership and background in financial services make her a great fit for our market and our office.” Located at 4051 E. Sunrise Drive, Suite 101, Long Realty’s Foothills office is Tucson’s leading residential real estate office as measured by sales volume. Leahy said her decision to return to Long Realty was driven by the company’s market share, name recognition, dedication to agent education and culture of giving back to the community. She will be a member of the 2017 Chairman’s Club, a recognition honor reserved for high-performing agents. For more information, contact Pat Leahy by email at pat.l@patricialeahy.com or by phone at (520) 262-9583. 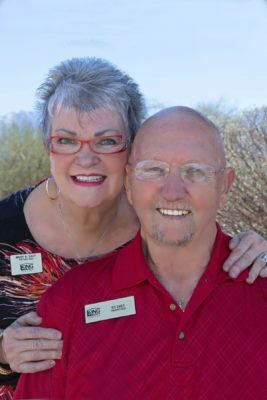 Share the post "Home again: Associate broker Pat Leahy returns to Long Realty"
Tucson-based Long Realty, a Berkshire Hathaway affiliate, continues to expand its market share in the Scottsdale and Phoenix metro area with the addition on June 19th of an established brokerage, Platinum Premier Realty. Platinum Premier Realty was founded in 2006 by Tom Noble and has been newly renamed Long Realty Platinum Premier. Tom brings a roster of experienced agents and deep community connections under the Long Realty umbrella as an independently owned and operated franchisee. His office joins the 37 existing Long Realty locations with more than 1,400 sales associates. Beginning in 1926 as a one-office real estate company, Long Realty’s company-owned and franchise offices now serve clients across the state and into Mexico. The company’s presence in the Phoenix area has grown with the marketplace: Long Realty now fields more than 350 agents in the Valley of the Sun, with seven franchise offices stretching from Surprise to Mesa. Other recent franchise expansions include Show Low and the White Mountains, and Flagstaff to the company’s state coverage. Long Realty Platinum Premier is located in Scottsdale at 8755 E. Bell Road, Suite 106, just west of the Loop 101 freeway. For more information, contact Tom Noble at 480.419.1151 or by email at Tomn@LongRealty.com. Share the post "Franchise agreement boosts Long Realty’s Scottsdale presence"
Share the post "Long Realty’s Career Event: September 6, 2017"
Long Realty’s Tanque Verde office adds a new face—and enhanced loan services—with the arrival of Manny Aparicio, a veteran mortgage consultant. 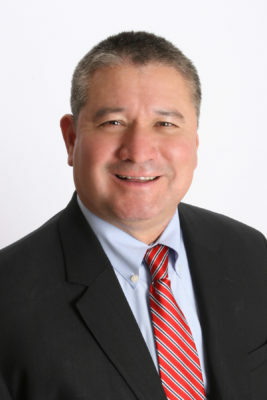 Aparicio brings deep mortgage-origination experience as a loan officer and account executive. In a 20-plus-year career, he’s handled VA, FHA, conventional and bond loans for several leading mortgage companies before his recent move to Long Mortgage Company. A Long Companies affiliate, Long Mortgage Company stations a consultant at each Long Realty office to originate loans for home purchases and refinancing. Services include FHA, VA, conventional, renovation, and jumbo financing, as well as down-payment assistance. 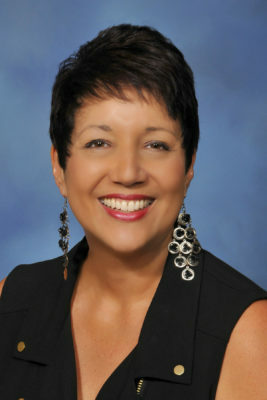 Bilingual in English and Spanish and a University of Arizona graduate, Aparicio is “fully licensed and ready to originate now,” said Reneé Gonzales, managing director of Long Mortgage Company and executive vice president of Long Companies Core Services. A key element of Long Companies’ “all real-estate services under one roof” business model, Core Services comprises Long Mortgage Company, Long Title Agency, Long Insurance Group and partnerships with several home-warranty providers. The company-owned Tanque Verde office, opened in 1982, serves northeast, southeast and central Tucson. The office is located at 6410 E. Tanque Verde Road. For more information, contact Manny Aparicio by email at MannyAparicio@LongMortgage.com or by phone at (520) 918-5805. Share the post "Manny Aparicio joins Long Mortgage team, Tanque Verde office"
Share the post "Long Realty’s Career Event: June 28, 2017"
No stranger to birdies and bogeys, Long Realty’s Dove Mountain office expands its crew of golfing REALTORS® with the addition of Steven Mooneyham to the roster. An avid golfer as well as veteran associate broker with over 10 years of experience, Mooneyham stands ready to shoot a round with clients to help them decide whether a given community is a good fit. 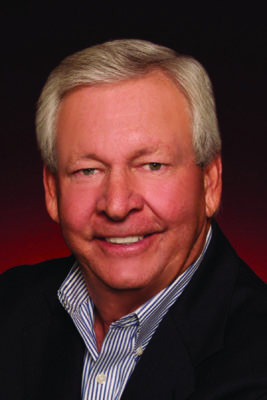 A golf-community specialist who takes his real estate business very seriously, Mooneyham works with both buyers and sellers in high-end developments in northwest Tucson, Oro Valley, and Marana, including Sun City Vistoso, Dove Mountain, Heritage Highlands, Stone Canyon, and SaddleBrooke. His focus is luxury homes, new construction, relocations, and retirement/vacation/second homes. Included among Mooneyham’s professional credentials are Short Sales & Foreclosure Resource (SFR), Military Relocation Professional (MRP), Accredited Seller Representative (ASR), and Certified Home Marketing Specialist (CHMS). Such designations indicate advanced training in various niches of the real estate industry. Located in the Dove Mountain Centre, 12080 N. Dove Mountain Blvd., the company-owned office was launched in 2007. It’s currently home base to 50-plus REALTORS® representing properties throughout Dove Mountain, Oro Valley, northwest Pima County and southwest Pinal County. Mooneyham moved to Tucson from Atlanta in 2005. In September of that year, he obtained a real estate sales license, moving up three years later to a broker’s license. He comes to Long Realty after a stint as a top producer with another brokerage. Before making the move to Arizona—and real estate—Mooneyham served as president of Atlanta, Georgia-based National Business Opportunity Bureau, a registry and referral service supporting the franchising industry. For more information, contact Steven Mooneyham by email at StevenM@LongRealty.com or call (520) 448-8422. Share the post "Steven Mooneyham joins Long Realty’s Dove Mountain office"
Long Realty’s market-leading Foothills office has enhanced its already-strong cadre of sales associates with the addition of another seasoned agent. First licensed in 2005, David Guthrie worked as a REALTOR® and team leader with several other real estate companies before making the move in March to Long Realty. With Guthrie comes a rapidly growing team, The Hacienda Group. Guthrie’s specialties include listing agent, buyer’s representative, investment properties, first-time and move-up buyers, relocations, condos, and short sales and foreclosures. His résumé also includes experience working as a real estate investment consultant. Guthrie holds the Short Sales & Foreclosure Resource certification from the National Association of REALTORS®. The SFR indicates specialized training and expertise to work with distressed sellers and the legal, financial and other professionals involved in short sales and foreclosures. “Our experience with distressed properties has given us a solid foundation for the services we provide our clients,” Guthrie said. But, he added, the team is making a strategic shift toward non-distressed properties and away from short sales and foreclosures. “Our passion is helping buyers and sellers navigate challenging markets and bringing the dream of home ownership to real people,” he said. Launched in 1979, Long Realty’s Foothills office is the leading real estate office in Tucson as measured by sales volume. For more information, contact David Guthrie by email at david@hacienda-group.com or by phone at (520) 406-4702. Share the post "David Guthrie, Hacienda Group join Long Realty’s Foothills office"
Long Realty celebrated two of its own Feb. 16 with annual awards to recognize lifetime professional achievement and outstanding community service. Taking home the Barrington Long Lifetime Achievement Award for 2017 was Susie DeConcini, an associate broker with the company’s Central office. And, in an unprecedented posthumous honor, Kelly Bequette of the Foothills office received the 2017 Sam H. Woods Community Service Award. Bequette, 58, died Nov. 5 after a motorcycle accident. Named for Barrington Long, president and owner of Long Realty from 1952 to 1980—and son of company founder Roy H. Long—the Barrington Long Lifetime Achievement Award honors a sales associate whose career has had a significant impact on the field of real estate, earning the respect and admiration of professional colleagues and inspiring others to excel. One of the best-known REALTORS® in Tucson, DeConcini has been in real estate for more than 35 years, including 20-plus years as an associate broker with Long Realty. The Sam H. Woods Community Service Award, presented to the sales associate who best exemplifies a commitment to community involvement and “service above self,” went to the late Kelly Bequette, who was an associate broker with the company’s Foothills office. The award is named for Samuel H. Woods, a former Long Realty member renowned for his community-service engagement. As part of the award, a donation is made to the Samuel H. Woods Memorial Scholarship Fund in the name of the recipient. Administered through the University of Arizona Foundation, the fund supports a scholarship for a UA student in the area of regional land development in the Department of Geography. “Kelly’s life and character earned the respect and admiration of his professional colleagues,” said Laura Mance, manager of the company’s Foothills office. 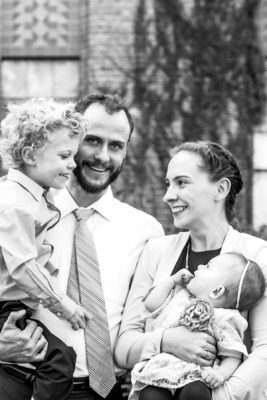 “He practiced real estate with the highest of high standards.” During an impromptu memorial gathering, Bequette’s colleagues described him as “gracious, a gentleman, professional, kind, funny and generous,” Mance said. “If Kelly found himself with five extra minutes in the day, he would look for someone who needed help to fill that time,” said Father John Lyons, pastor of St. Thomas the Apostle Catholic Church in Tucson. 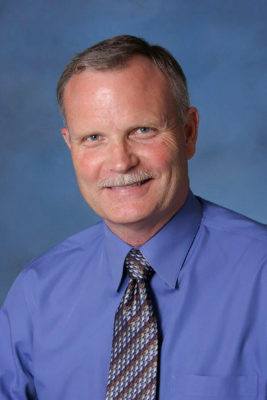 In addition to his church work, Bequette was active with the Long Realty Cares Foundation, the Knights of Columbus, the Arizona Boys Chorus and the Tucson Girls Chorus. Share the post "Long Realty presents annual awards for leadership, service"